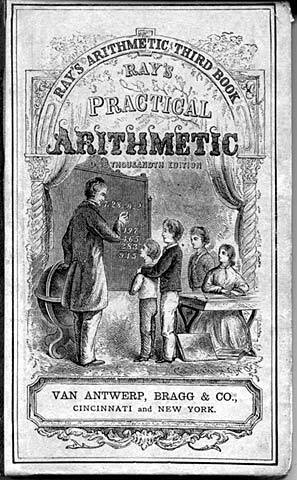 Here you can download for free any and all of the Ray’s New Arithmetic books. These are rigorous textbooks. Not suitable for slackers! Doing them in this order eliminates the traditional gap that occurs between Algebra I and Algebra II, where Geometry is often inserted into the standard math curriculum. I know that when I took these math subjects back in high school, I thoroughly enjoyed all of them, BUT, I did not appreciate that year of geometry jammed in the middle. It threw off the momentum and lengthened the learning curve just a bit! I don’t think you’ll have that problem. Is there an answer key to the algebra and geometry texts? I’ll look into getting one up on the site. My apologies, Jennifer, for taking so long to get back to you. You are fabulous! Thank you so much for all your work. I have been waiting for this kind of set up. Thank you so much, Luanne. for the three higher math books, is there a teacher key? Thank you. How do you correct the higher math if your child is using it? Any suggestions? Is there and answer key I can buy? Have you tried downloading the answer key from this page? For all the geometry and trig and algebra? Where is that one at? I don’t have those here. Check with a website called DollarHomeSchool.com. They might be able to help you. I used Strayer-Upton for elementary math and now have found this. 🙂 I am thinking I want to use the higher math ie algebra. I see that you suggest doing Geometry first. I see in the books it lists also Analytic Geometry as well as Ray’s Treatise on Geometry and Trig. I am trying to figure out what order to teach the Algebra/Geometry series of books. From my research I am hearing that more mental maturity is needed to do Geometry and Trig. Can I do both Algebra’s first and then the Geometry? Also what is the difference between the 2 Geometry books I mentioned. On other sites they also suggest supplementing the Geometry so that you can do actual problems. What are your thoughts on that? Thanks so much! Doing the algebra as a single block is a good idea. You can do geometry after if you wish. Thank You so much for all of your work. What a great resource! This is the order recommended by Dr. Gary North, curriculum director for the Ron Paul Curriculum. I have heard that some do both of the Algebras back-to-back and then tackle Geometry & Trig after. Honestly, there’s no hard and fast rule. Hi, I’m wondering if there is going to be answer keys to the Algebra and geometry books? I know it was asked once before but I didn’t see a reply. Thank you! No, the only answer keys that I’ve seen are the ones linked to here. And then they are selected answers only, for the more difficult problems. Check with Mott Media. They republished the entire Ray’s series, with some answer keys.